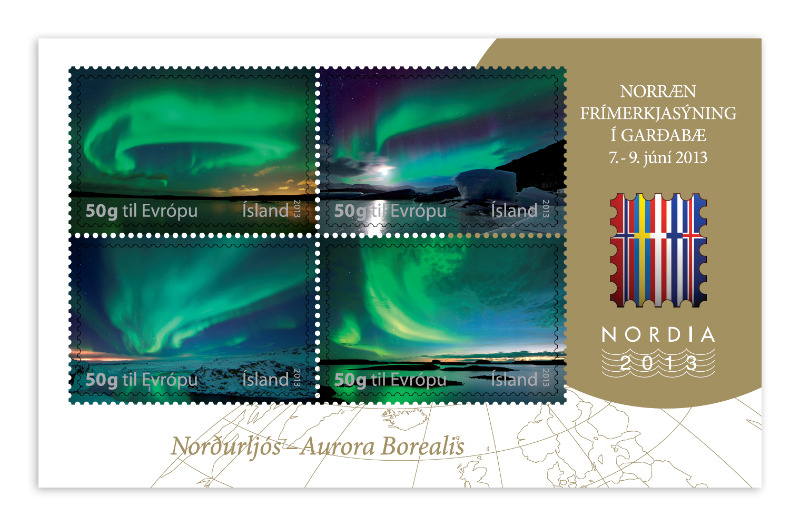 The Nordic stamp exhibition NORDIA 2013 will take place in Ásgarður Sports Center, Garðabær on 7th-9th June 2013. This is the sixth time that the NORDIA exhibition is held in Iceland. On this occasion Iceland Post will issue a souvenir sheet as it has done in the past with the Northern Lights as its theme.